Each week, as part of our Cross-Country Tour series, Charity Navigator features a few of the highly-rated charities working to improve the lives of people and communities in one of the 50 states. This week, we’re talking about Idaho! The following organizations are hard at work in the Gem State to help youth and families succeed, expand access to arts and culture, and conserve the state the so many Idahoans know and love. Established in 1953, the Idaho Youth Ranch provides troubled children and families a bridge to a valued, responsible and productive future. We help each child find the hope, vision, courage, and will to succeed. We provide stability, opportunity, and security. We encourage growth and offer a chance to develop confidence, independence, esteem, and respect. We teach values, responsibility and self-discipline in honest, caring environments. We believe in family, work, accountability, education and responsible behavior. Founded in 1971, the Sun Valley Center for the Arts' mission is to enrich our community through transformative arts and educational experiences. Our Core Purpose is to Engage through Art and Ideas. We fulfill our purpose by offering high-quality programming in a variety of disciplines. Often theatre, music, the visual arts and humanities come together to explore an idea or theme that is relevant to our time. This unique, multidisciplinary approach to arts education allows us to present some of the world's most interesting artists, musicians, authors, filmmakers, author, and playwrights. With equal emphasis on the visual arts, the performing arts and the humanities, the Center has made a commitment to exploring issues from the perspectives of each of these three disciplines. Higher Ground (formerly Sun Valley Adaptive Sports) enhances the quality of life through inclusive therapeutic recreation and education for people of all abilities. What sets HG apart from other adaptive sports organizations across the country is our focus on innovative and sustainable therapeutic impact. While we want our participants to have a great time, we ensure the positive changes they experience translate to every aspect of their lives. Lee Pesky Learning Center (LPLC) strengthens literacy (reading, writing, and math) in the community with an emphasis on helping those with learning disabilities. We achieve our mission by providing research-based assessment, academic instruction, and counseling to individuals and small groups; consultation and training to schools and educators to improve the literacy of all children; and literacy resources (books, curricula, classes, tools) to children, families, and communities. We provide one-on-one evaluation and academic intervention for individuals with learning differences at offices in Boise, Caldwell, Hailey, and Ketchum. We partner with schools to provide special academic intervention programs for children who are at risk of educational failure. 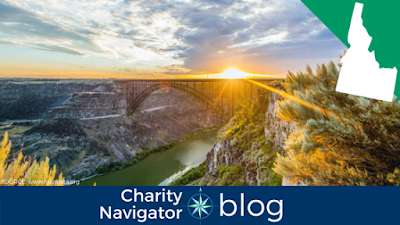 You can use Charity Navigator’s Advanced Search Tool to find even more highly-rated organizations working for the people and communities of Idaho.